Please join us Tuesday for a meeting with local elected officials and MTA representatives to hear about the MTA plan to eliminate local stops along the M14A and M14D bus lines. Tuesday, April 2, 6:00 pm. The MTA has moved forward with this plan with almost no public input. Tuesday may be your only chance to make your voice heard. Councilmember Carlina Rivera and nine other local elected officials released a statement today urging the MTA to keep local service along the M14A/D routes in addition to Select Bus Service (SBS) to speed travel times on longer trips. 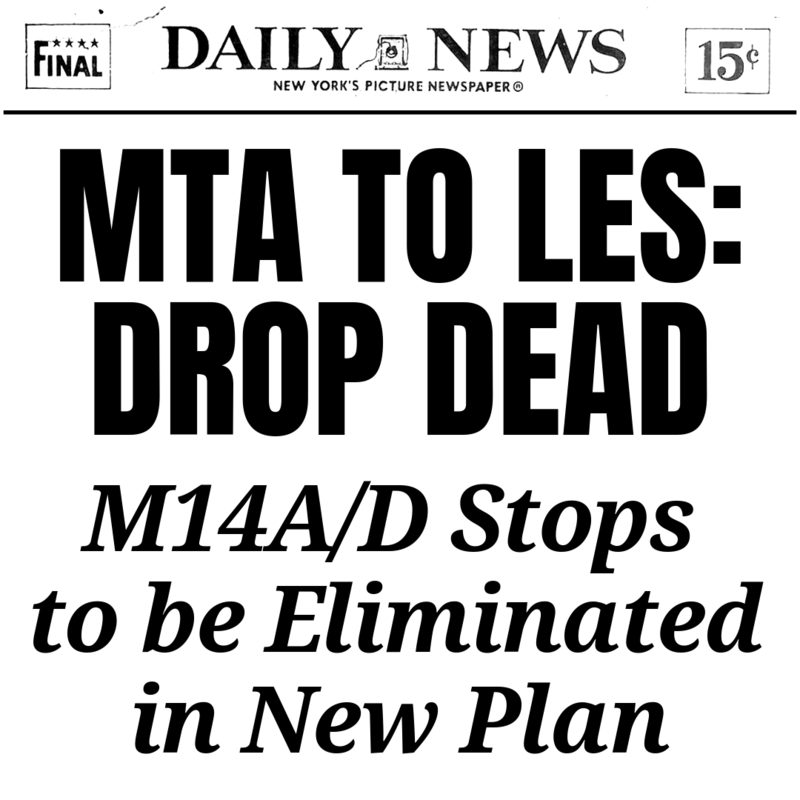 Ave. A & East 4th St.
Last week the MTA announced plans to eliminate local stops on the M14A and M14D routes, including four in our neighborhood. Please join Councilmember Carlina Rivera on Friday to say NO to these service cuts. The M14 is the second-busiest route in Manhattan, and also the second-slowest in all of NYC, spending 60% of its time in delays or at bus stops. The MTA hopes to alleviate this problem by converting all M14 routes to Select Bus Service (SBS), which means you swipe your card before boarding the bus and can enter the bus at any door. These are good changes! Pre-swiping will make boarding the bus much faster most of the time. BUT by making all M14 routes SBS, the MTA is also eliminating local stops along the way, creating a huge burden for seniors and passengers with disabilities. This would be the only route in NYC where SBS express buses completely replace local service. Meet, network, and chat with influential and successful women from all walks of life. The informal networking event at the end of the panel is an opportunity for young women to connect one-on-one with panelists and develop mentorships. RSVP by emailing info@yuhlineniou.org or by calling 212-312-1420. 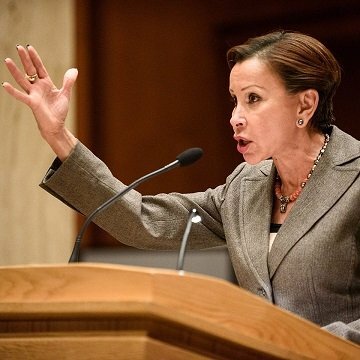 For an update on the 116th Congress and discussion on the important issues facing our nation, including: Healthcare, Social Security, Immigration, Housing, Education, Economic Development, Criminal Justice, Infrastructure, Voting Rights, and the Environment. Just about two years ago, we launched this club and our district leader campaign, determined to encourage and enable accessible, progressive political engagement from the grass roots on up. Since then has been kind of a fairy tale: working together with so many of you on local issues; bringing candidates and elected officials to the Lower East Side to listen to your concerns; joining forces with organizations like Sister District and Planned Parenthood to campaign, march, and lobby; and getting out the vote for new Democratic majorities in the N.Y. Senate and the U.S. House. And now, with sincere gratitude for the indefatigable support you’ve given us since day one, we’d like to officially announce that we are running for re-election as your district leaders, with the endorsement of Grand Street Democrats. 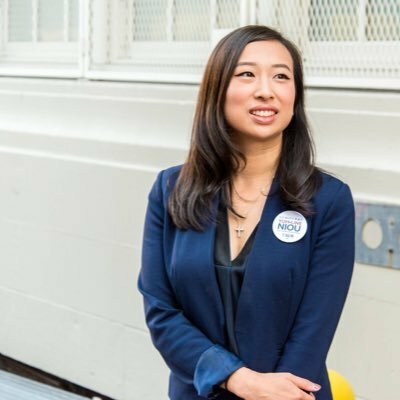 Grand Street Democrats voted this week to endorse Ben Yee for Public Advocate. Ben is a “traveling civics superhero” who has brought workshops in civic engagement to groups throughout the five boroughs. His platform is aimed directly at engaging citizens, empowering community groups, and punishing bad actors who degrade our civic institutions. Ben Yee speaking to a packed house at Manny Cantor Center 1/29/19. Contribute to Ben Yee’s campaign. We’re pleased to announce that Educational Alliance President & CEO Alan van Capelle has agreed to moderate our forum on 1/29 with candidates for NYC Public Advocate. Alan runs one of the most significant community organizations in the city, lives right in our neighborhood, and has participated in many important progressive movements in New York and nationally. As president of Bend the Arc, Alan launched that Jewish action organization to the forefront of the national progressive movement. As executive director of the Empire State Pride Agenda, he helped pave the way for marriage equality in New York State. Update: Alan was not able to make it on Tuesday, but Joanna Samuels, Executive Director of Manny Cantor Center, stepped in and did a fantastic job moderating the candidate forum.